This Special Product Offer Is Only Available Online! Have you been forgetting things or feeling tired? Do you feel like you can't keep up with your busy lifestyle? 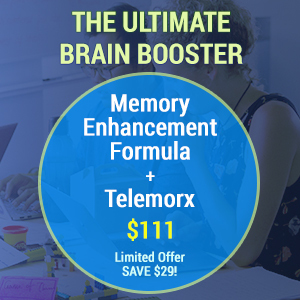 Dr. Murray's Ultimate Brain Booster Pack with Memory Enhancement Formula and Telemorx® can improve your mental processing and memory and also enhance your endurance and energy levels. 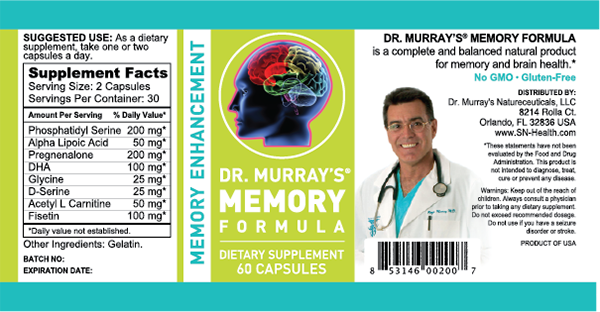 Dr. Murray formulated Memory Enhancement Formula with a blend of nutrients to improve brain function. 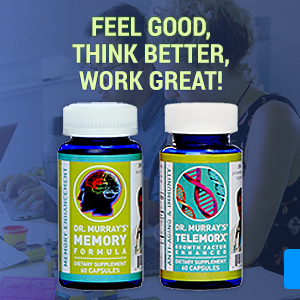 After prescribing ingredients separately to patients for years, Dr. Murray created Memory Enhancement Formula with of the most scientifically proven ingredients that are beneficial for improving mental processing and memory functions. The cold-filtered colostrum in Telemorx® gives you a boost of energy. It can improve your endurance to tackle a busy schedule and improve your sense of well-being with its vitamins, 22 essential Amino Acids, Immunoglobulins, Minerals, Growth Factors and Cytokines. 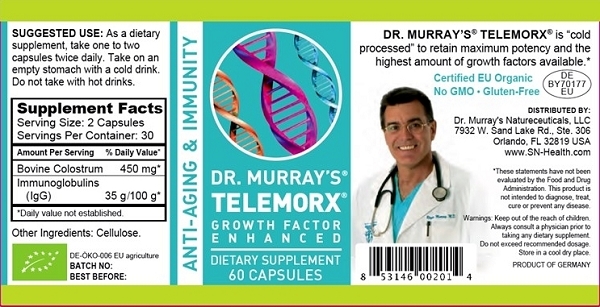 Dr. Murray worked directly with an international lab to create Telemorx®, a product he designed to be an enhanced anti-aging product. Telemorx® is cold processed and ultra-filtrated Bovine Colostrum. Bovine Colostrum is produced by cows the first 48 hours of feeding for their newborn calves. Our Colostrum is the highest quality available on the market today because it's made using a patented refrigerated process and is neither pasteurized, nor spray-dried and therefore retains the highest bio-availability. See patented process - click here. It seem like the young new engineers in my company were able to think faster than I was, they seem to grasp new concepts faster and I felt like the old guy left out! My wife made me take Dr. Murray's memory pills and I am so glad she did! I feel like I am mentally back like I used to be many years ago. Only 7 days and I was back! I'm A Teacher Who's Not Getting Sick Anymore During Flu Season! I teach 5th grade and every November through February I was constantly sick! I do not recall who told me about Telemorx but I know it is another teacher bragging about never getting sick during flu season! I told all my fellow teachers about those wonderful pills that prevent you from getting sick. I know that now most of the teachers here are on it! They are amazing!